· Avoid all oils. If a recipe needs some oil/butter/ghee, use olive or canola oil in small quantity. Make a habit of brushing or spraying the oil in the pan instead of pouring. · Use non-sticking utensils for cooking. · First, heat the utensil, and then add (preferably spray) oil. A heated pan spreads the oil better. · Substitute baking, barbecue or grill for frying, if possible. · Look the labels on the food products carefully. 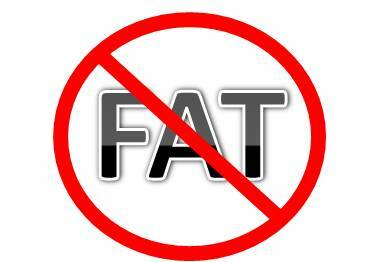 Look for labels of low fat or reduced fat. · Don't be carried away by the words 'No Cholesterol' on labels. Majority of vegetable products are cholesterol free. It is the fat content of the item, which matters. · Avoid conventional fast foods. Salads, sandwiches, fresh fruits are best fast foods. · When you go to a hotel, give instructions to add only very small quantities of oils for cooking. · Eat only when you feel hungry. · Avoid eating while watching TV. You eat a lot and you do not realize while watching TV.